The new and improved Bottled Water PLUS is Flojet’s premium bottled water dispensing system. When a water bottle is connected to the system, fresh water is available for use with coffee/tea machines, water dispensers, refrigerators, ice makers, or any other application where portable potable water is needed. The Bottled Water PLUS system is also designed for convenience-the pump shuts off when the water source is depleted, and when water is restored, the pump will automatically restart. This eliminates the chance of any damage to the appliance running dry. 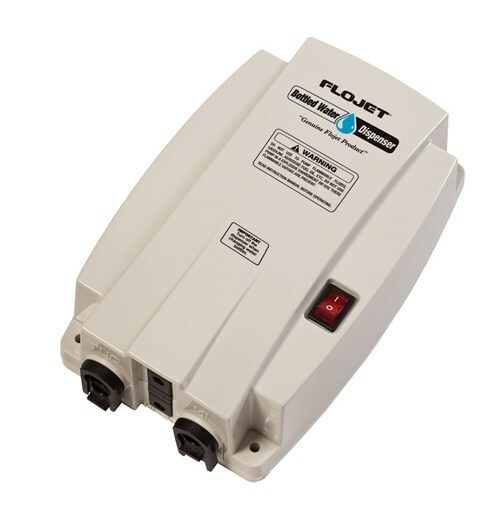 Flojet BW4000 Series Bottled Water Dispensing Systems have been discontinued and replaced by BW5000 Series. Flojet’s robust electric diaphragm pump design, proven with over seven million units in service.